We Can Do As Much — Or As Little — As You Need. How Can We Help You? 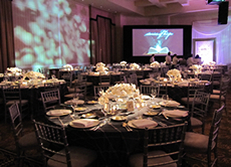 We've got more than 25 years of experience in successful charity event management. We'll gladly put this expertise to work for you. And it is all about you — our customized services and auction management tools are designed to make your life easier. At Auction Event Solutions, we know how to run a silent auction and the secrets to successful live auctions, too. We can do as much as you need, from data management, silent auction bid sheets and auction clerking, to complete non-profit event management. How can we help you? That's the first question we always ask before any planning begins. Every nonprofit organization and charity event has its own unique characteristics. First, we need to learn all about you — your organization's history, constituents, supporters, donors, guests and volunteers. What worked well in the past for your organization? What hasn't been as successful? How about the competition? Comprehensive pre-event evaluation with recommendations. Your plan will include fundraising goals, estimated costs and event timelines. Exciting non-profit fundraising ideas. 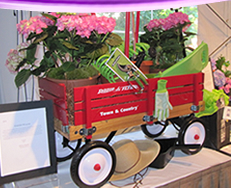 We're delighted to share suggestions for the key silent auction items that get results. Staff and volunteer training and management. If necessary, we can provide additional staffing, as well. Guest registration packets. Our guest registration packets are always customized to your organization and event. Our clients also love our unique registration system, which ensures guests never stand in line waiting to check in. Electronic credit card terminals. Both you and your guests will appreciate this added convenience. Referrals to professionally trained auctioneers. We've worked with some of the best in the country and we're always glad to make referrals. Auction item pick up and management. Yes, we do that, too! Contact Auction Event Solutions to find out more about our auction clerking, charity and non-profit event management solutions.